I find skincare a little tricky to navigate at the best of times. Having no real set label of skin type I usually just have to take my chances. Sometimes that means paying out for sensitive skin products and at other times it can mean opting for products that cater more to combination or oily skin. It has a mind of it's own and all I can do is go along and try my best to formulate some kind of regime that looks after it. This can sometimes mean what's great one week is going to cause a reaction the next. It's frustrating and tends to put me off skincare every now and again. This year I want to make a concerted effort to get to know my skin and to treat it well. I've a foot in my 30s and it's time to start taking skincare a tad more seriously than I previously had. 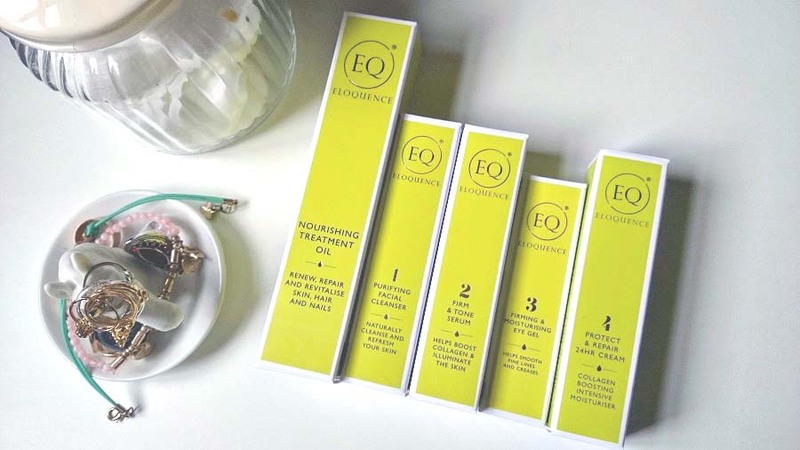 Lately I've been trialing a fantastic range of skincare from Eloquence, a cruelty free brand of skincare that contains no artificial fragrances and is packed full of goodness including Sachi Inchi Oil, an ingredient that boasts proteins, omegas, antioxidants and is rich in iodine and vitamins A and E.
My first impressions were great, here was a skincare brand setting out the steps of skincare for me. Cleverly labelled products, numbered for ease of use, made sense to me as when it comes to figuring out what goes on the skin at which point in a skincare routine.... well, it can make my head hurt at times. Often I've found myself googling (from my bathroom) which product goes on when. The products themselves are really quite lovely to use. I've become rather sensitive to smell and have found my usual skincare products overpowering in that sense. I had also developed a problem with clogged pores causing a bit of a breakout so I thought I'd ditch what I had been using and go all in on this trial. With my new skincare routine carefully laid out in front of me I began with the Purifying Facial Cleanser (£7.99). Cleanser isn't usually something that gets me excited and it isn't usually something I use (or remember to use) all that often but I think I'm reformed after trialing this one. It makes a huge difference to my skin. Rubbing this into the skin gives a light lather which is easily rinsed off and leaves the skin feeling very fresh and clean. The next step was to pop on the Firm and Tone Serum (£19.99) which I was hesitant about using as sometimes serums can break me out, especially when they contain hyaluronic acid (which this does) however I found this a dream to apply after the cleanser. I must admit to waiting for the breakout to happen.... it never came. In fact, my skin felt supple and plump after use. Step 3 in the routine uses the Firming and Moisturising Eye Gel (£19.99). I applied this on the bottom socket of my eye area (never apply eye cream up to the lashes, apply to the socket ridge area and it will naturally creep up the skin. If you apply eye cream directly under the eye you run the risk of clogging pores on the delicate skin area and causing Milia). Lately I've been battling fatigue which shows around the eye area and found that this little product made a huge difference. My dark circles were improved within a few days. Lastly I finished my new routine by applying Eloquence's Step 4, the Protect and Repair 24 Hour Cream ( £14.99). This was one of my favourite products in the range (I'll tell you about the other in a minute!). I actually started using this intensive moisturiser a couple of weeks before I incorporated the rest of the routine because I'd run out of all my current moisturisers and my skin was not coping well. Within a few uses of this moisturiser my skin had cleared up and was feeling plump and soft. In fact, it was using this cream that got me excited about trying the rest of the products. This clever moisturiser not only helps to condition the skin but it also provides UVA and UVB protection. It does as it says, it hydrates and protects your skin during the day and as you sleep. I can see this being the product I run out of first. So that has been my routine for a few weeks and I have noticed a marked improvement which is brilliant considering my health. Usually when my health is taking a bit of a battering and my immune system is low, my skin is one of the first things to go. Incorporating this routine has made a huge difference and it's also helped me feel better. When you're ill and it shows on your skin it can have a horrible effect on self esteem so I was delighted this worked out. 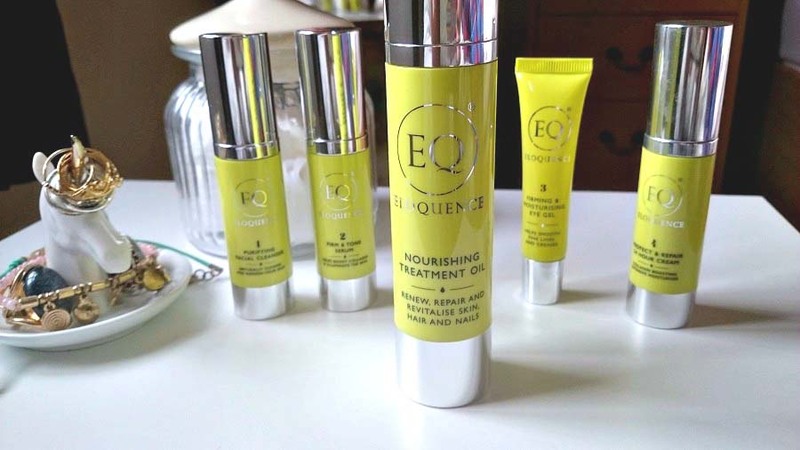 There is one last product from Eloquence Beauty I wanted to tell you about and yes, I saved the best for last... The Nourishing Treatment Oil (£29.99) is a stand out product in this range. It has multi use abilities (I've used it on scars, hands and hair) and I have fallen a little in love with it's soothing effect. My hair has never been more shiny! 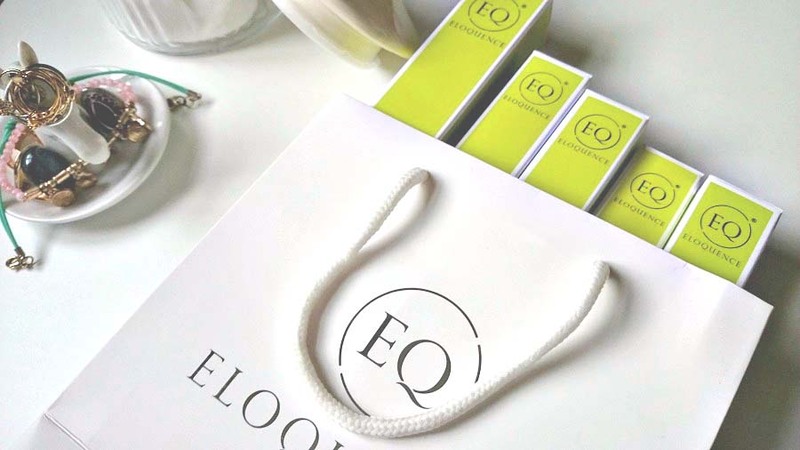 To find out more about Eloquence, their ethos and their products, hop over to www.eloquencebeautycare.com and have a look. You can buy the complete range of skincare or opt for one or two to try first. For me, the stand out products have to be the Protect and Repair 24 Hour Cream, their Purifying Facial Cleanser and the gorgeous Nourishing Treatment Oil. *If you'd like the chance to WIN a Nourishing Treatment Oil AND the Protect and Repair 24 Hour Cream from Eloquence, this is your lucky day! Simply enter via the Rafflecopter widget and good luck!